The desperation in acting is so strong you can actually feel it in casting waiting rooms. I remember that feeling back when I started out in the acting world in the Southern California market. At that point in my career path it was all about landing leading roles in stage productions and going after film and TV opportunities. Armed with a degree in theatre, I pounded the pavement, joined forces with a few agents, went on auditions and booked some real work. I did a lot of live theatre at the beginning (mostly unpaid) and in time I was fortunate to win a few TV acting jobs. 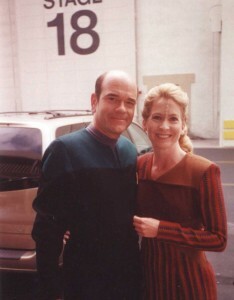 The most notable (for coolness factor) was a little guest role on “Star Trek Voyager” in which I got to play a friendly alien, complete with bony facial makeup, who has a few lines with Capt. Janeway before being beamed down to my home planet (S7:E2 “Imperfection” for any Netflix streaming fans). And yes, getting beamed down on a Star Trek episode is truly one of the most memorable things I’ve ever gotten to do in my acting career! I still get occasional requests from Trekkies for a signed headshot (some fans make it a hobby to collect headshots of every actor who has appeared in a Star Trek episode). There were other TV series episode appearances along the way, a wonderful and rewarding run at South Coast Repertory, along with a slew of opportunities to do commercials, corporate and industrial videos and other on-camera work. These were all great experiences for me and helped to build my skills and develop my acting talents for the future. Show business is indeed a business. 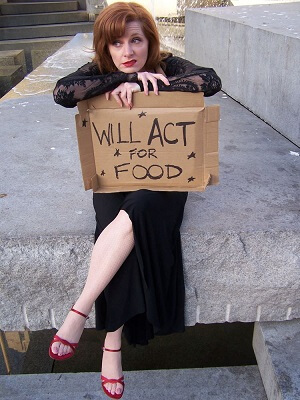 There are scores of great actors out there, who have honed their craft and can brilliantly play Willy Loman or Medea. Sadly, the majority still have a very hard time making a living as actors, and they have to hold part-time or full-time jobs to get through the slow times and just make ends meet. In other professions, the more experience and skill that you have, the EASIER it is to find work. But in acting, and many other artistic endeavors, skills, talent and experience don’t automatically translate into an abundance of opportunities, jobs, or a livable income. 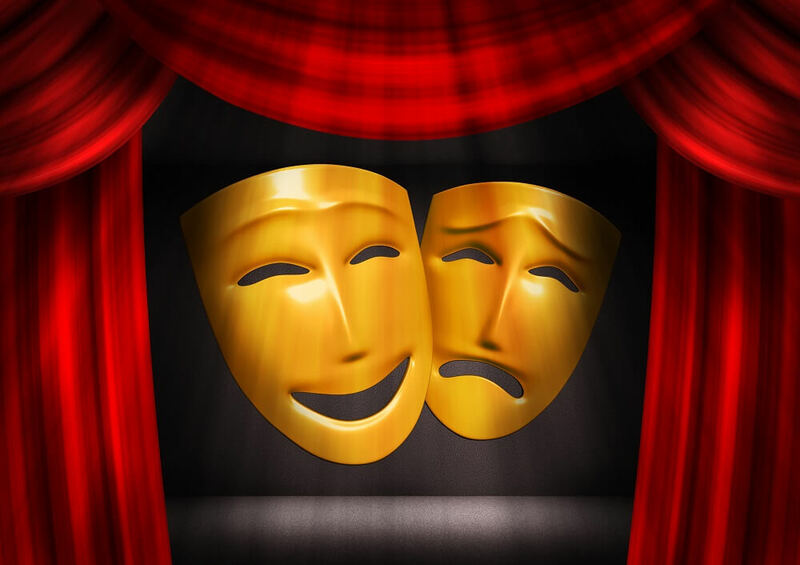 In the internet age, an actor must learn and embrace the art of marketing along with the art of acting. The days of just waiting around for your agent to call you with an audition or booking are long gone. Today, an actor has to be their own agent, which adds one more huge challenge to the list of what makes acting a very tough profession. In many casting situations, actors are viewed as a commodity. This is especially true for voice actors. No matter how great of a voice an actor may have, there are ten more who can replace them in a heartbeat. Yes, there are a few extraordinary voices out there who are instantly recognizable. But, that doesn’t mean they can’t be replaced. One area of exception is probably in animation, where a select few voice over actors can have very long term success with certain characters. Check out these multi-million dollar voices. If you are fortunate enough to land in this circle of actors, then you probably are about as irreplaceable as an actor can be. Count your blessings and buy your parents a new house! 1. They are connected with the branding and image of the company they are working for, so replacing them could cause some brand dis-association for customers. 2. They deliver great service and are very easy to work with, so they are unique and more indispensable in ways beyond just their voice over talents and acting abilities. Up next, the final part of this three-part series: Life as a Working Actor Requires Perseverance, Tenacity and a few other qualities that may need to be developed. Photo Credit: Will Act for Food is a photo essay collaboration between Cameron Stiehl and photographer, Ana Delao. Set in and around San Francisco’s Civic Center, this collection of photos shows the state of the arts in America where many artists either work at corporate day jobs, relegating their passion to hobby status, or face poverty. Please visit http://www.cameronstiehl.com for more information.